“Sorry, he is restless today,” Hanna, 26, said, apologizing for the behavior of her four-year-old son, Johann, who has been playing inside their small bamboo-walled house while she was cooking. She would reprimand Johann every now and then, asking him not to play with water, wear his slippers, and to avoid jumping on the chair. Hanna takes care of her two sons, Johann and baby Zander, and does housekeeping. Her husband, Joseph, 28, occasionally works as a gold miner or farmer, earning between Php50($1) to Php200 ($4) a day. On some days, her husband earns nothing. Hanna admitted that the meager salary her husband earns makes it difficult for them to make ends meet. Food consumes most of the family’s expenses. With little to spend, Hanna knew that she has to be wise in buying food that would fit her budget and at the same time, give her sons nutrition. “I usually buy vegetables and fish from the market. Sometimes, I ask a neighbor for vegetables from their garden. Then, I buy or pick fruits. My husband also brings home fruits and vegetables from the farm,” she said. Like most farmers in the Philippines, the land that her husband tills is not their own. A landowner employs workers to do manual farm labor. At harvest time, the landowner gets the big chunk of farm’s income while the farmer gets a small portion or a few sacks of agricultural produce will go to the farmer; enough to keep a steady supply of food on the table until the next harvest season. When there is no farm work, Joseph works as a miner, searching for gold, which his village is known for. But finding gold among the rocks nowadays is as difficult as finding a needle in a haystack. Hanna said that feeding her sons vegetables and fruits has made good benefits to them. Johann and Zander seldom get sick and are energetic. Johann, unlike most Filipino children, loves vegetables. He even likes ampalaya (bitter gourd), a vegetable most kids detest for its bitter taste. “I love ampalaya!” Johan shouted from a room, while searching for his favorite Spiderman shirt. Hanna said that preparing healthy food for her children is crucial. She is aware about malnutrition and its negative effects on children. The 2017 data from Food and Nutrition Research Institute (FNRI) reported that chronic malnutrition among Filipino children 0 to 5 years old is at 33.5%, up by 30.5% in 2015. Chronic malnutrition of children between 0-2 years old, the most important two years of a child, is 26.2%, the highest in 10 years. Cases of chronic malnutrition is likely to happen in poor families or villages such as Hanna’s. “Damage caused by malnutrition to a child’s physical and mental development, especially during the first two years of life, is irreversible and lasts until adulthood. A malnourished child is usually sickly and performs poorly at school. 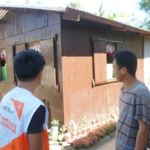 Malnutrition can also cause death,” Venus Grecia, World Vision’s Health and Nutrition Specialist, said. In Hanna’s community, World Vision teaches mothers about preparing nutritious food for children, specially those less than five years old, to help address malnutrition. The nutrition schools called Pinoy Nutrition Hubs teaches mothers proper and nutritious food preparation for children less than five years old. On days when Hanna’s family has nothing, she would prepare mostly vegetables for her children. Fresh vegetables are abundant in the provinces. A family can grow vegetables in the yard. Ampalaya (bitter gourd), papaya, sitaw (legumes), kangkong (water spinach), tomatoes, and malunggay (moringa) are common vegetables seen in their communities. She mixes two or three types of vegetables to make a healthy dish. Vegetables are rich in vitamins and minerals that help protect the body from diseases. On days, when they have enough money to spend, Hanna buys both fish and vegetables. Fish is abundant in Hanna’s village and fishing is one of the main source of livelihood of families. Fish is a good source of protein and Omega-3 fatty acids. Protein is important in building and repairing body tissues that help in a child’s physical development. Omega-3 is important to brain development. On good days, when her husband earns much, instead of buying processed food in the market, Hanna prepares meat such as pork or beef, and cooks it with fresh vegetables. Pork, beef and chicken are expensive food that most poor families in the village cannot afford. These food are prepared on special occasions such as birthdays or town fiestas. The right amount of meat provides a child essential nutrients such as iron, which maintains energy level, and zinc which is vital for the body’s immune system. Combining meat and vegetables also aids in iron absorption. Fruits such as bananas are abundant in most communities, and Hanna’s family never misses having them on the table as dessert. Like vegetables, fruits are rich in vitamins and minerals that help children fight diseases. Banana, for instance, is rich in potassium, which is needed for a healthy heart and muscle function. A mother who wants to provide better nutrition for her children cannot be stopped by a meager daily food budget. Diet diversity, which ensures children and family members of intake of essential nutrients, can be obtained by using local and affordable food resources. 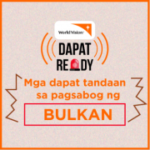 How does World Vision shield children from malnutrition and diseases? 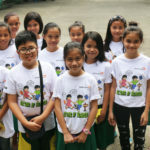 Child-focused international organization World Vision welcomed Gretchen Ho as their newest Ambassador for Health and Nutrition.